When it comes to Web – Designing, we have a lot of options to choose from i.e template based design or custom web based design. The custom website is tailor made as per the target audience and helps them to find the information easily. Using the appropriate layout, navigation, features, text-size etc. Custom design website helps to build your business's credibility. The website looks in sink with the company brochure, business cards and other collateral materials. 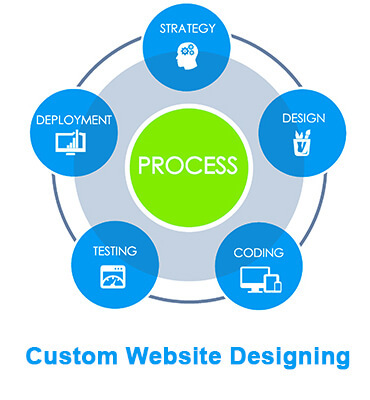 The custom web design helps in increasing the sales and build your audience. We, at Askme Technologies, provide custom website design solutions as per your requirements. We design creative and professional layouts for your business, offering unique designs to choose from as per the brand / product / services. Thus, making your website unique & much more creative as compared to your competitors & help you engage new clients.